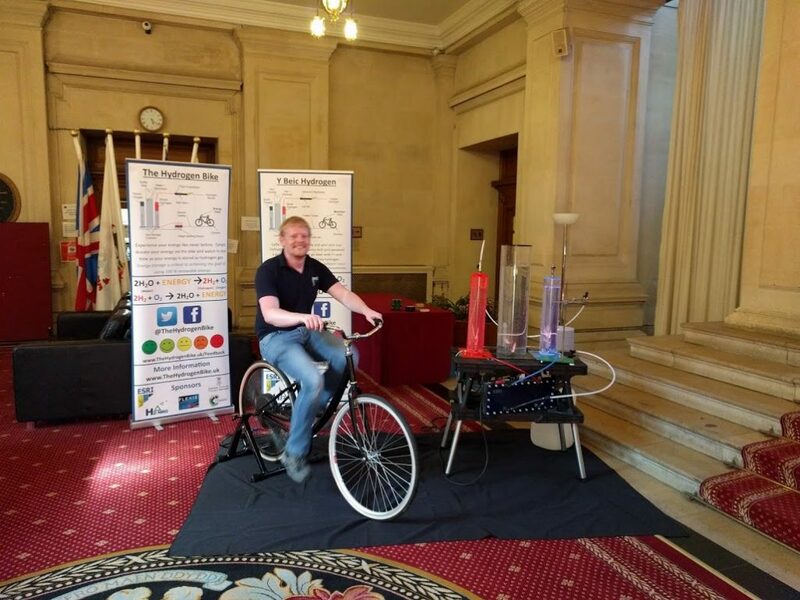 We exhibited in Cardiff City Hall for a Flexis event on Monday the 21st August. The event was part of a large energy conference and a global launch so we had a number of VIP’s attending. 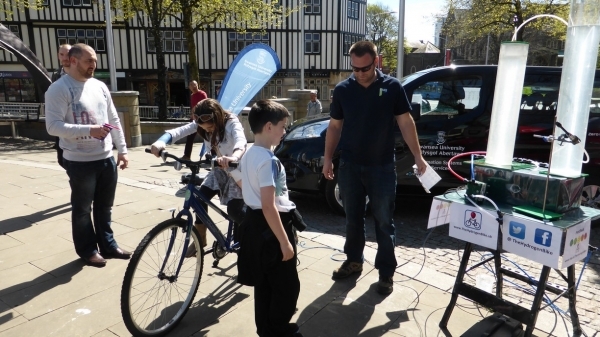 For me, the highlight was to try out the new kit, sponsored by the RSC with the LED’s working. It was the first time I had seen the new set-up so was very excited. This is Dan getting things going. Note the glow from the red and blue tubes.. This is due to the LEDs that we have installed underneath them. 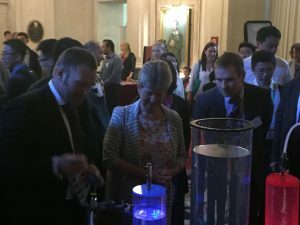 The highlight of the evening was talking to Jane Hutt AM about the role that Hydrogen could play in our future energy landscape and the merits of welsh funding for projects such as FLEXIS, RICE and HYPERCOM.